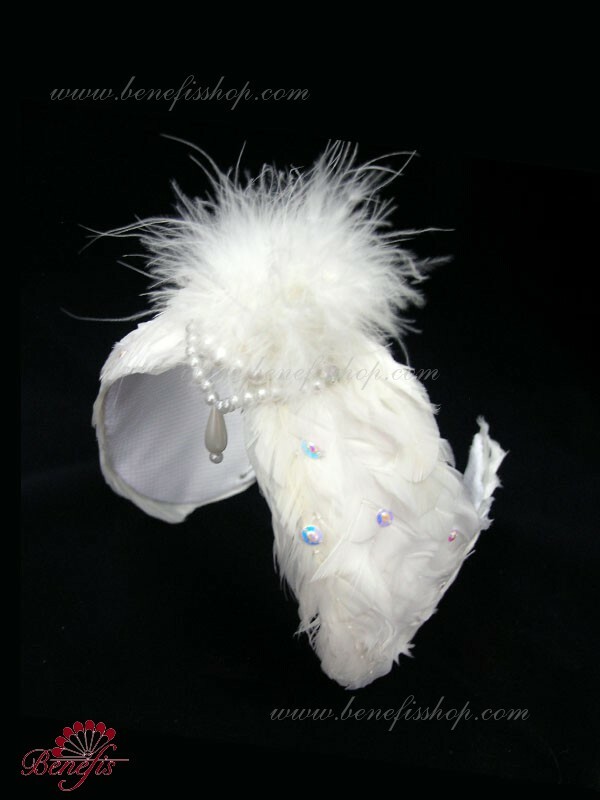 The headpiece is made of natural feathers. 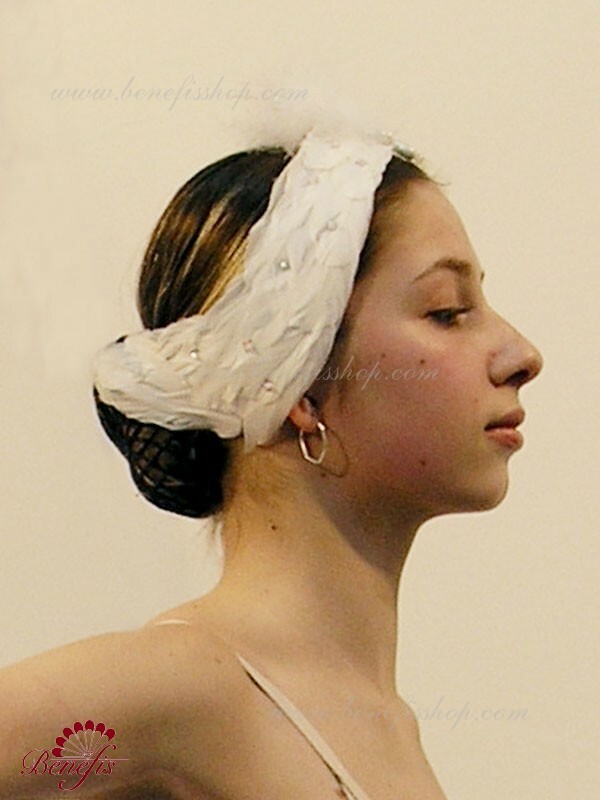 The feathers are attached to the carcass with flexible edges for the ballerina convenience. Perfectly fits all coiffures. It is attached with the help of hairpins.